Did you feel that just now, metal heads? That quick jolt of electricity traveling up the base of your spine, like some sort of kundalini-powered spider-sense, alerting you to the fact that the material plane just got infinitely more BRUTAL? 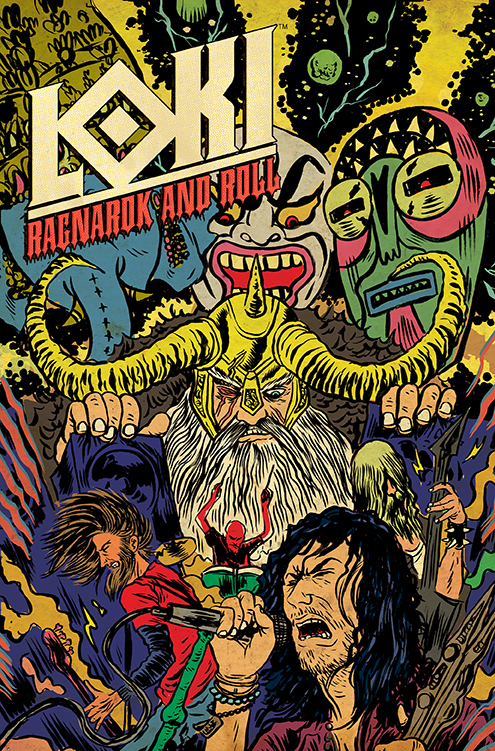 That’s because Newsarama just posted the solicitation for March’s LOKI: RAGNAROK AND ROLL #2!